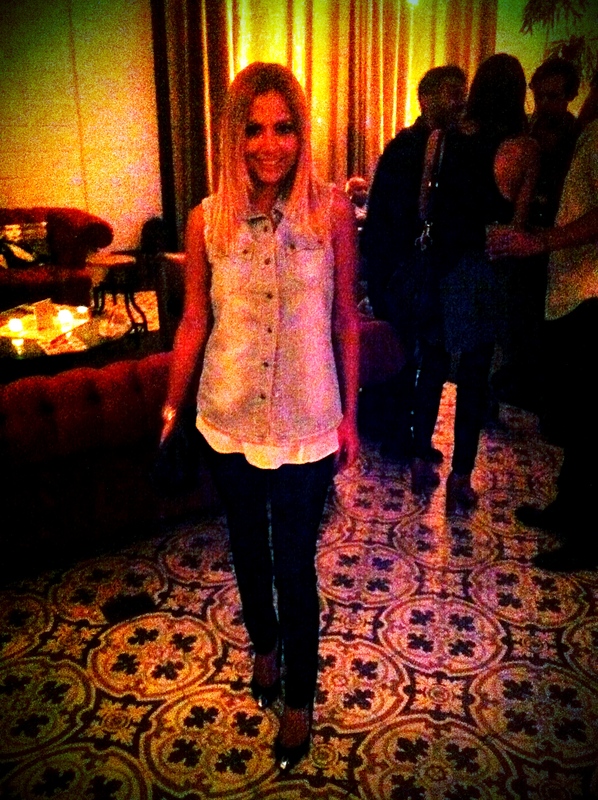 It was Canadian Tuxedos galore at the People StyleWatch Denim Celebration at the Palihouse in West Hollywood last Thursday. The Guess-sponsored party was star-studded, including Christa B. Allen (Revenge), Lacey Chabert, Rachel Leigh Cook (Perception), Kayla Ewell (Vampire Diaries), Aimee Garcia (Dexter), Gigi Hadid (Guess? Jeans model), Lydia Hearst, Petyton List (Cashmere Mafia), Taryn Manning (Hawaii Five-O), Rose McGowan, Lindsay Price, Christian Serratos (The Secret Life of the American Teenager), Jamie Lynn Sigler (Guys with Kids), Dania Ramirez, Danny Masterson and dozens more of today’s most fashionable celebrities … including my buddy, Noah Abrams‘, leading lady, Jennie Garth. Pictured here is stylist and personal shopper Natalie Mark looking flawless in a Sandro top, Rag & Bone Jeans, vintage Gina shoes (amazing!) and a Lanvin clutch. 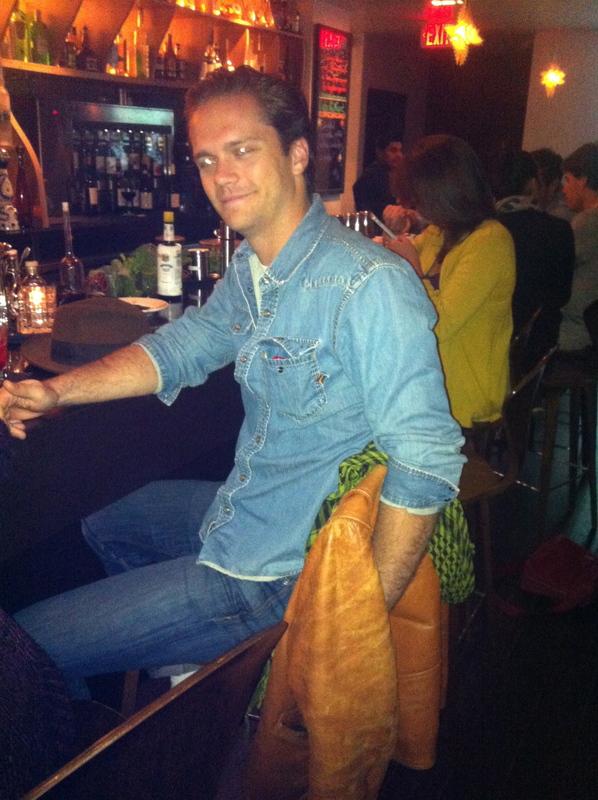 More double denim at The Dime! This time inside the insanely packed LA hotspot – it was off the chain last night. 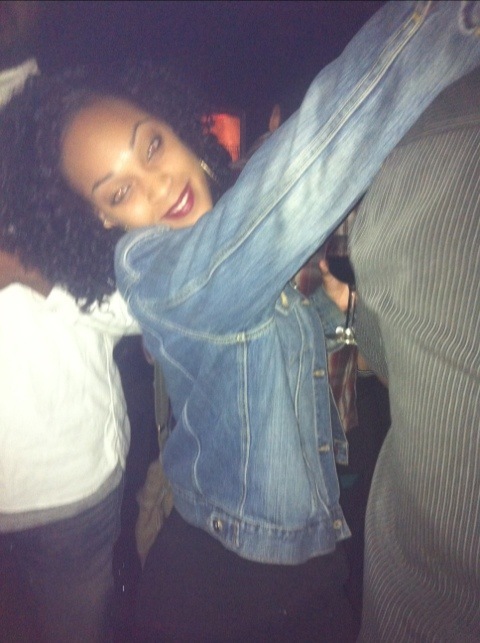 Here is the lovely Laylah Akbar shaking it in a Guess jacket, jeans brand unknown and Chuck Taylor’s.